Active lifestyles in Southern California and the Pacific Northwest invigorate the thinking of Evolve Online principals Lee Shurie and Marc Blake. So it follows that their dynamic approach to IT challenges is to take them head-on. Lee and Marc adapt to fluctuations in digital environments with the same mental flexibility they use to navigate obstacles in their outdoor pursuits. Indeed, the West Coast has alway been open to new possibilities; and EO clients benefit from the company's location in two of the world's most tech-centric regions. Marc Blake holds an Honours Bachelor of Mathematics with majors in Accountancy and Information Systems from the University of Waterloo (Canada), which has led to his work of implementing, perfecting and adapting IT systems for businesses of varying scale across many categories. In the analog world, Marc has been a competitive multisport athlete for over ten years, including Ironman races at Penticton, Lake Placid, and Lake Tahoe. 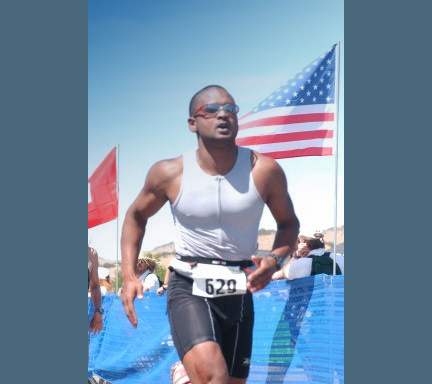 Marc is currently using his passion for bringing people together through athletics with his efforts to host and support race events in his Washington State town. Lee Shurie attended the University of Pittsburgh with a focus on engineering, and went on to earn an EMBA from UCLA's Anderson School of Management. This education provided the foundation for a career that balances business experience with hard-won technical expertise. Off the keyboard, Lee enjoys kayaking; he actually paddled to Catalina Island and back for lunch in one day (26 miles each way). He avidly reads Sci-Fi (a literature of possibilities), and is known in his Los Angeles-area neighborhood as the Tomato King for his cultivation of heirloom tomatoes. ©2019 Evolve Online. All rights reserved.